praise him with fiddles and mandolin. 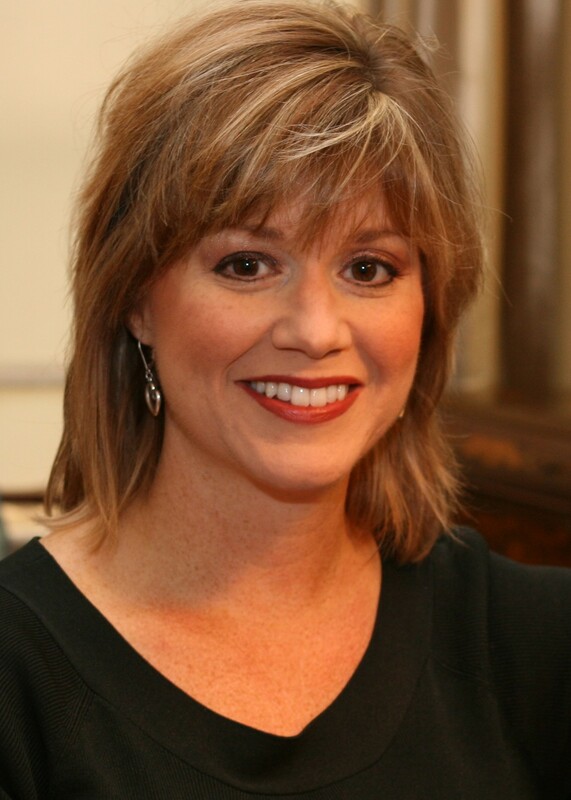 First Presbyterian Church has a long history of devotion to music and the arts. Sharing your musical and artistic gifts helps provide a more meaningful worship experience for everyone. Please contact Jennifer Klein Salyer, our Director of Worship Arts, for additional information on any of these groups or to discuss how your artistic gifts might enhance our corporate worship. The Chancel Choir (high school through adult) rehearses on Wednesdays at 6:30pm in the Music Arts Suite on the 3rd Floor. All who have a desire to sing and serve in leadership at FPC are welcome in the Chancel Choir. A wide repertoire, from the classics to praise music to spirituals, is explored and celebrated in regular Sunday Worship. 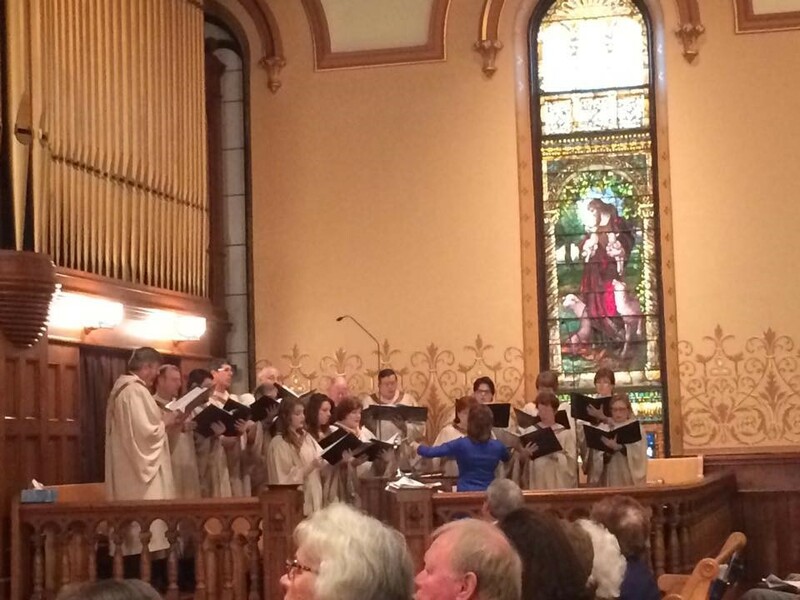 Additionally, the Chancel Choir prepares special seasonal music throughout the liturgical year. Our Chancel Ensemble leads the congregation in hymns and songs of praise during our pre-service Gathering Music and also participates in music leadership during Worship. Members of the Chancel Ensemble are skilled instrumentalists and vocalists, many of whom have professional performance experience. While formal auditions are not required, placement through the Director of Worship Arts is necessary to ensure proper balance and instrumentation. The Ensemble rehearses Thursdays at 7:00pm in the Sanctuary. 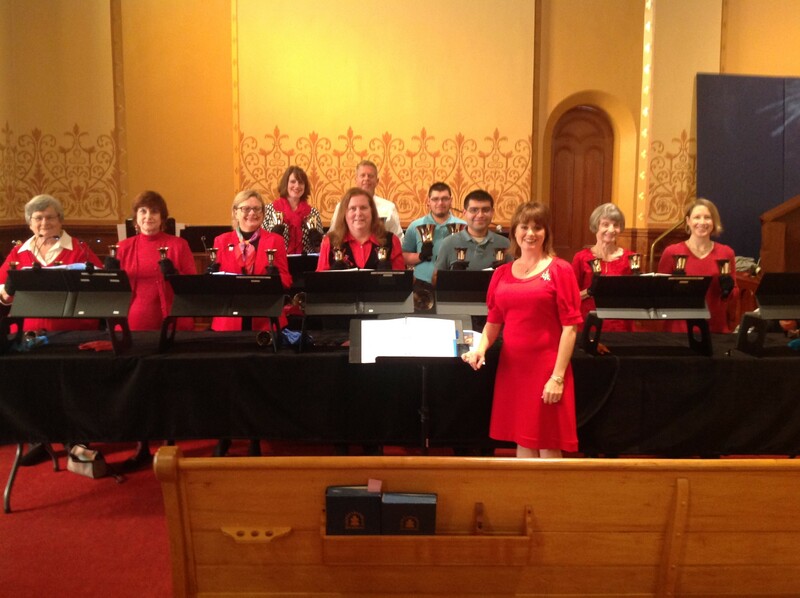 The Handbell Choir (high school through adult) plays during Worship at various times throughout the year. Novices, experienced ringers, and all those in between are welcome to be a part of this group. Please contact Jennifer Klein Salyer about joining the Handbell Choir. The Joyful Noise Children’s Choir provides a fun and meaningful way for the young people and youth of the church to learn more about our faith traditions and gain experience in worship leadership. In additional to occasionally singing in Sunday Worship, the Joyful Noise Children’s Choir prepares and presents the Christmas Pageant in December, a musical and dramatic telling of the Nativity story. 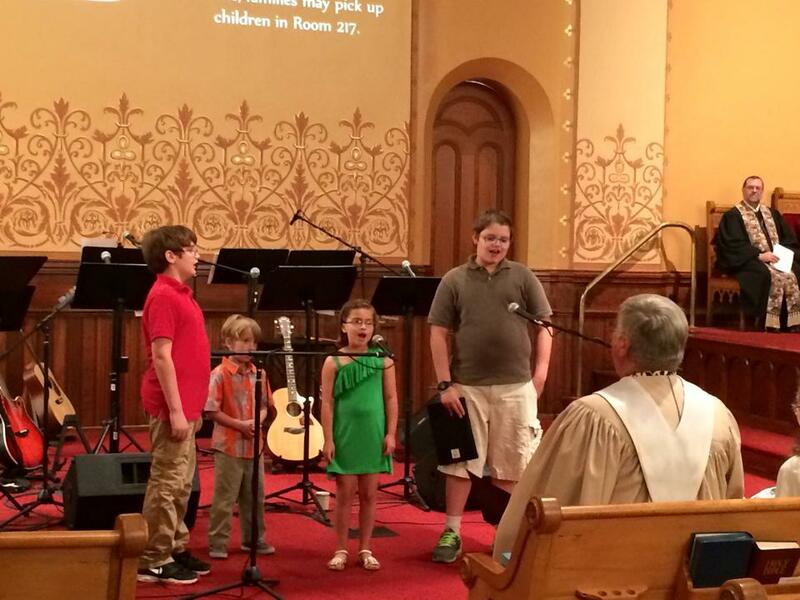 Joyful Noise rehearses on Sundays before Sunday School during the school year. Consisting of five to eight auditioned adult singers, Sempre Cantare is a chamber ensemble leading Worship through song occasionally throughout the year. 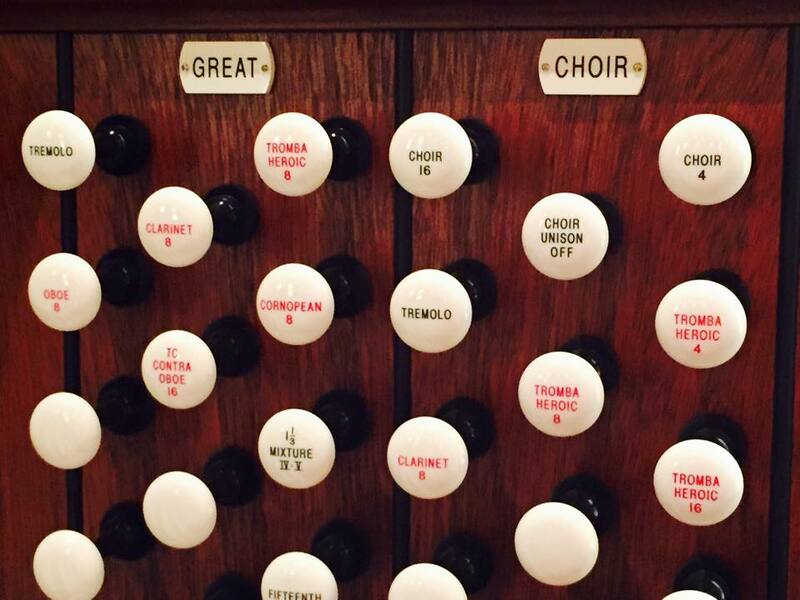 Repertoire ranges from Victorian motets to spirituals. Much of the music is sung a cappella. Contact the Director of Worship Arts for further information. From time to time, special music is offered in Worship featuring instrumental talent from within our congregation, whether as a solo, instrumental duet, or accompanying the Chancel Choir or Chancel Ensemble. Brass, woodwind, percussion and string players certainly enhance worship. Please share your talent with the Director of Worship Arts!